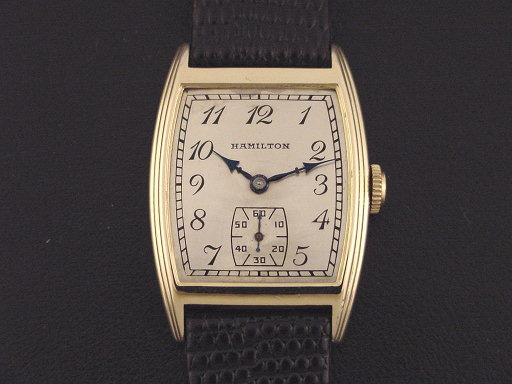 Hamilton “Webster” men’s Streamline Moderne design wristwatch in 14K yellow gold fill, circa 1933. The “Webster” has a large barrel-shaped case with streamlined grooves along each side. It was priced to consumers at $47.50 in 1933. 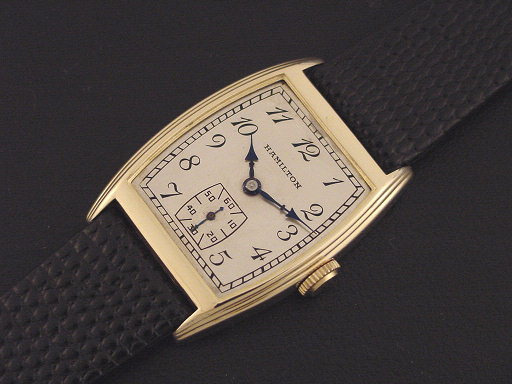 This example has the uncommon inlaid black enamel figure dial. It is excellent condition with only a few specks of brassing to the lugs. 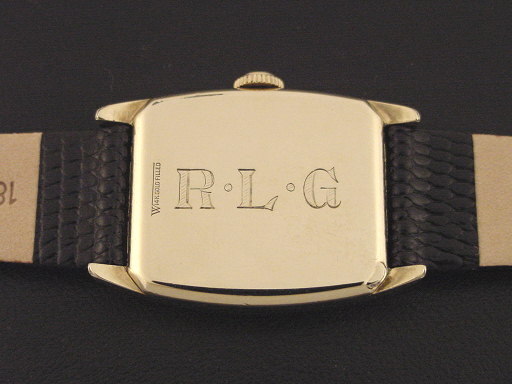 Caseback is excellent, with a monogram and a very faint line of wear near one edge, and some very light wear at the opening tab. 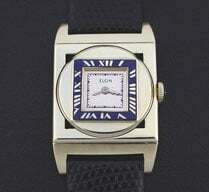 Case measures 39mm long and 27mm wide. 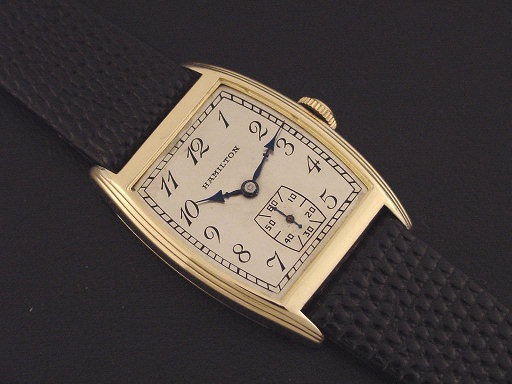 Original inlaid black enamel numeral dial is very good, with some patina and some marks. Has new glass crystal. 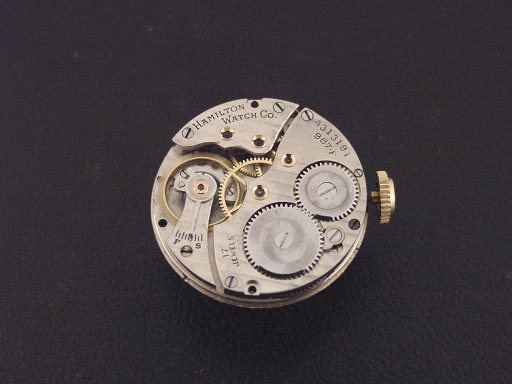 The watch is powered by its correct 17-jewel Hamilton grade 987-F manual wind movement, just serviced.